Our professional design team will work with you to create the perfect design solution. If you are building a new home, we can help you identify the best locations in each room for your new system, as well as the placement of your outdoor unit(s). Hiring reputable professionals to complete the design work of your system is critically important. Improperly-sized equipment or a poorly-designed system can cause issues from day one. TzviAir’s team of on-site professionals will first examine your architectural designs, evaluate the layout of your home and perform a room-by-room cooling and heating load calculation. Once the most appropriate system design has been agreed upon, we will be in frequent communication with your builders and architects to ensure that we are kept up to date on any changes. If any structural changes occur during the planning stages, we will adapt our design accordingly. We also work with the city inspection departments to remain in compliance with any necessary code requirements. Our goal is to provide you with the most appropriate design concept for your needs at a price that fits your budget. Properly planning your new home before it is built can save thousands of shekels and provide better options compared to working with an already built home. You can rely on our engineering services to help you choose a system that meets your needs. To understand how much cooling or heating power is required for each space, we will calculate each room’s BTu/h. This calculation can be challenging to accurately determine because it is easily impacted by a wide range of factors. Luckily, you are in good hands with our team. We pride ourselves in providing excellent customer service and project consultation. If you are building a home and want to install an air conditioning system, we will provide a free on-site consultation and estimate. Building a new home is the ideal time to install a highly-efficient system capable of keeping your home comfortable and your energy costs low. At TzviAir, we have a team that specializes in new construction projects. Our team will analyze your floor plan, consider your needs and provide ideas for functionality as well as design and aesthetics. Our team will recommend a high-performing, great-looking system for your new home. 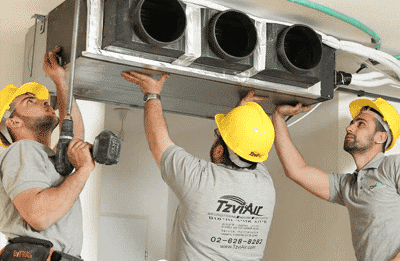 When it is time to replace an existing system, TzviAir makes it easy. 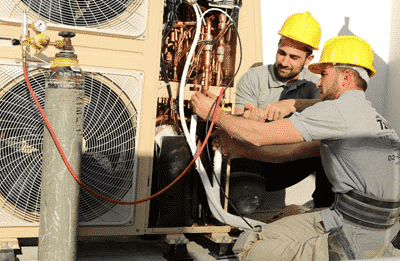 With today’s advanced technology, selecting an air conditioning system can feel like a complicated task requiring endless research and comparisons. At TzviAir, we understand that with so many options, choosing a new system can be overwhelming — but we are here to help! Our professional and knowledgeable staff will help you choose a replacement system that best fits your needs and your budget. When you replace your old central air conditioning system with a high-tech inverter VRF system, you will have a more comfortable home and most importantly, you will reduce your electric bill by as much as 75 percent! These energy-efficient systems have been used to heat and cool luxury homes and hotels for decades. As is often the case with new technologies, the cost for VRF systems have dropped considerably over the past five years. They are now affordable and pay for themselves in as little as four years!